Tales from an overfed, long-haired leaping gnome. 2018 was a bad year for Uninterruptible Power Supplies at my house – I’ve got several old models that I’ve been nursing along with batteries sourced, free of cost, from various places. I finally ran out of free batteries, and am hesitant to buy more OEM SLA batteries to replace them. Lead acid batteries are big, heavy, and tend not to work very well for deep cycle use. Emergency/backup power is one of the few use cases where they still make sense – but I’d like to move to newer tech. 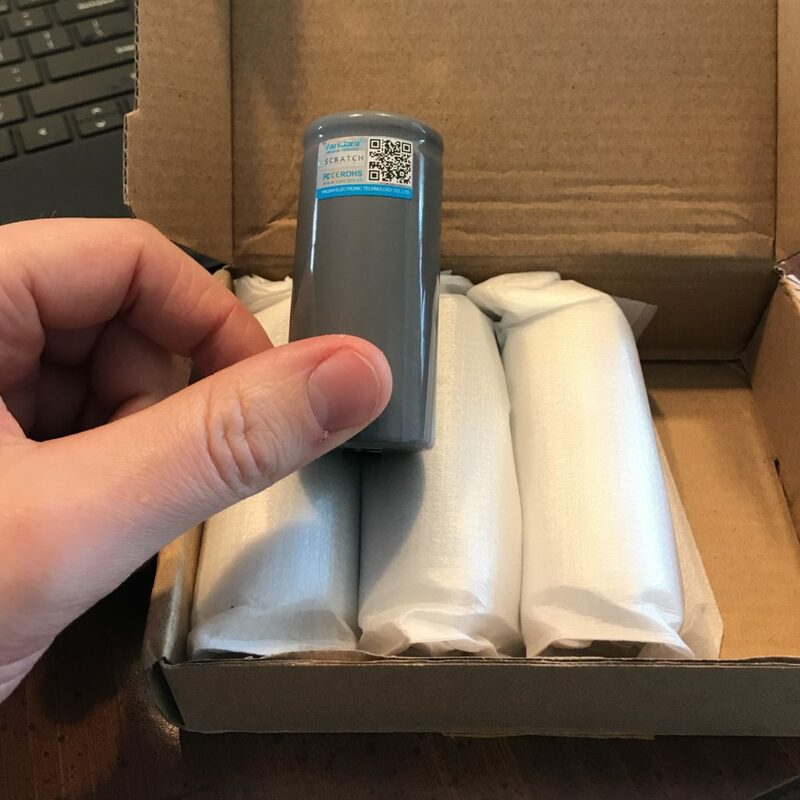 Pictured above is 1 of 4 of LiFePO4 32700 batteries that I ordered, to get my UPS going again. They are a big brother to the 18650’s I mentioned in my previous post. They support a higher amp load and are also a larger capacity (and a larger physical size) vs the 18650. I ordered a battery management system to keep the batteries at a consistent and safe state of charge, but haven’t quite got them hooked up yet. Stay tuned for some UPS upgrades! This entry was posted on Sunday, March 31st, 2019 at 11:20 pm	and is filed under Electronics. You can follow any responses to this entry through the RSS 2.0 feed. You can leave a response, or trackback from your own site.